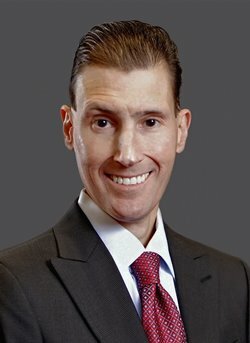 Scott C. Butera serves as president of interactive gaming, which includes sports betting, online gaming, social gaming, and digital media, at MGM Resorts International. He previously served as commissioner of the Arena Football League, where he oversaw all league operations for team franchises located in major markets in the United States, including Washington, D.C., Los Angeles, and Philadelphia. Prior to his time with the AFL, Butera held several positions in the lodging, gaming, real estate, media, and entertainment industries, including serving as president and CEO of Foxwoods Resort Casino, CEO of Tropicana Entertainment, COO of the Cosmopolitan Re​sort and Casino, and president, COO, and executive vice president of Trump Entertainment Resorts, Inc. His financial background includes two decades in investment banking with UBS Investment Bank, Credit Suisse First Boston, Smith Barney, and Bear Stearns & Co. He began his career as an accountant in the financial services practice of Coopers & Lybrand in New York. Butera earned a B.A. in economics from Trinity. He went on to earn an M.A. and an M.B.A. from New York University’s Leonard N. Stern School of Business. He also has been a member of Trinity’s Board of Fellows. Butera is a member of the Information Services and Facilities Subcommittee and the Comprehensive Campaign Subcommittee. Butera and his wife, Denise Butera P’18, ’20, have three children, including Allison ’18 and Christopher ’20, and live in Las Vegas, Nevada.